We have again joined forces with the Oculus™️ Medium team! We’re challenging you to kitbash a model using Oculus Medium in VR. Participate and you can win an Oculus Sensor (great for a 3-sensor setup for full room-scale VR!) and a set of Oculus Earbuds. TL;DR: Kitbash a model in Oculus Medium, upload it to Sketchfab, and tag it #OculusKitbashChallenge. 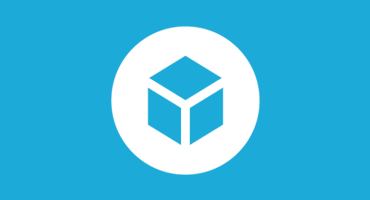 Once you’ve created your scene, upload it to Sketchfab and tag it #OculusKitbashChallenge. And of course we’ll provide all winners with 3 months of Sketchfab PRO and a chance to be staff picked! With Oculus Medium’s latest update, you can now mass-import stamps: Asset Browser multi-select importing for meshes and images – Hold down your support hand trigger while selecting multiple assets in the browser to import more than one asset at a time. This is perfect for importing multiple of your own stamps, or download more free stamps from the Sketchfab community! Sketchfab Master Vlad gives a short summary of how you can bring your VR artwork from Oculus Medium to Sketchfab and share them with the world. Exporting from Oculus Medium and uploading to Sketchfab takes only a few clicks thanks to the intuitive interfaces of both platforms. On your support hand controller hold down the yellow menu button, select “File” then and select the “Export” option. In the export menu from, you can tweak some settings and decide on the output format. Oculus Medium gives you the option to reduce the poly count before generating an .fbx or.obj from your sculpt. Use the slider or the percentage buttons to decide on a decimation level. Try to keep a balance between level of detail and poly count so the file is performant and lightweight on your target platform. If you want your model to be displayed with Sketchfab’s AR viewer it is recommended to keep poly count to a minimum. Go to Sketchfab.com and hit the upload button, select your file and wait for the Sketchfab servers to do their magic! Contestants’ models must be uploaded to Sketchfab and tagged #OculusKitbashChallenge to be considered. The winners will be contacted by Friday, November 23. What is a kit bash? Hi, any news about the winners?